Roy Harris is a husband, father, grandfather, pastor, educator, denominational leader, and published author. He faithfully stood by his wife of 33 years Diana, through their three-year battle with breast cancer that eventually took her life. God used Roy’s book Caring for the Caregivermightily across America and around the world to help and encourage caregivers. 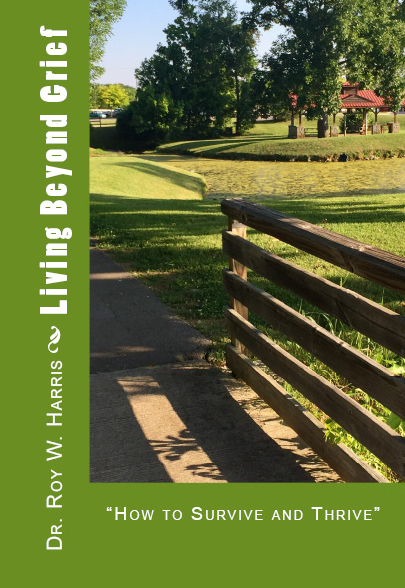 Living Beyond Grief is a sequel to that book and was written to help those who’ve lost loved ones navigate the difficult waters of grieving. It records Roy’s grieving journey and provides insight and practical suggestions on how to survive those difficult days. Roy has successfully with God’s help, moved through that difficult time and not only survived but also is doing well. “Living Beyond Griefby Dr. Roy Harris offers practical steps of application for those experiencing the devastation of losing a loved one. I read several books after losing my parents, but this book has given me new insights in helping me as I journey through the grieving process. I highly recommend this book to those on this same path of grief.” Mrs. PAM HACKETT – Pam is a pastor’s wife to her husband Tim, a mother and grandmother. “ Living Beyond Grief is very readable, practical, and helpful, whatever your situation. Roy takes us through his deepest journey as though we were passengers strapped in for the ride, and from scene to scene we gain new insights. Who knew a book about caregiving, grief, and recovery could be so enriching and—should I say it? —Entertaining.” Dr. ROBERT J. MORGAN – Rob has served as pastor of The Donelson Fellowship for over 30 years. He is a best selling and Gold-Medallion winning writer with over 3.5 million books in print circulation. “Can anyone fully understand the many emotions a caregiver goes through in the loss of a loved one? 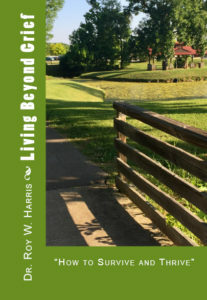 From his experience, Roy Harris poignantly shares practical insights on grieving and healing in his book Living Beyond Grief. There’s nothing quite like hearing from someone who’s been there and is thriving. Share this book with someone who is working through his or her own grief!” Mrs. SANDY ATWOOD.Sandy is wife to Pastor Richard, a mother and grandmother. The book sells for $9.99 plus shipping. Proceeds from all book sales go towards helping fund Roy & Amy’s ministry to pastors and churches in EAST AFRICA. The book may be purchased online through Amazon.com and other online major book outlets.